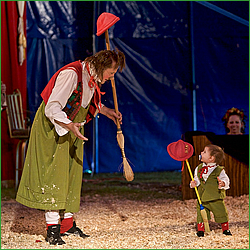 The Wheat Ridge Carnation Festival would like to present the Zoppè Family Circus – a traditional Italian circus that comes from humble beginnings more than 160 years ago. Zoppè Circus is an experience all in its own – from its legendary tours in Europe, this circus is as up close and spectacular as many that have followed and copied its format (Cirque de Soleil, Big Apple, etc.). Get your tickets early! $5 discount coupons can be located online – businesses will have these coupons while they last – tickets can be purchased at both the Wheat Ridge city hall and Wheat Ridge Recreation Center (as well as online). All shows will sell-out very quickly so make sure your family is able to take advantage of this unique and intimate circus event for all ages – Zoppè Italian Circus!